The LA Mavs High School and youth select teams are comprised of local, regional and national players who have demonstrated the ability to excel at their grade levels and are seeking an opportunity to improve under the direction of a highly qualified coaching staff. 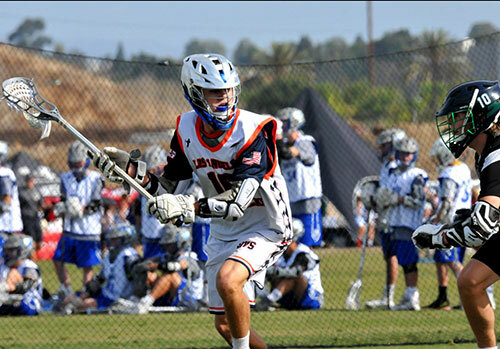 The Mavs players participate in high level training, allowing for advancement in skill development and lacrosse IQ. Each team will participate in tournaments which are hand-picked based on the level of competition at the event. Teams participate in summer and winter seasons and if selected, players are expected to attend all scheduled events unless excused. All scheduling information will be released in the months prior to the each season. The LA Mavs Summer select teams for 2019 will offer our most exciting summer schedule to date. Entering our ninth season, we will be running teams based on high school graduation year with the opportunity for the advanced players to play up. The summer high school schedule includes 3 tournaments, two team training camps, multiple practices. When registering please find your grade level below.